Yehoshua Kenaz, one of Israel's leading novelists, was born in Petah Tikva, Israel, in 1937. He studied philosophy and Romance languages at the Hebrew University of Jerusalem and French literature at the Sorbonne. Kenaz has worked on the editorial staff of the daily Haaretz and is a translator of French classics into Hebrew. All his books are outstanding bestsellers in Israel and several of his novels and stories have been adapted to films. In 2007, his novel Infiltration was nominated one of the ten most important books since the creation of the State of Israel. 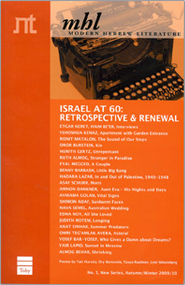 A film based on the book was released to critical acclaim at the Jerusalem Film Festival 2010. 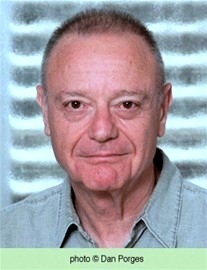 Kenaz has been awarded the Alterman Prize (1991), the Neuman Prize (1992), the Agnon Prize (1993), the ACUM Prize (1994) and the Bialik Prize (1997). In 2014 he received an Honorary Doctorate from the Hebrew University of Jerusalem.